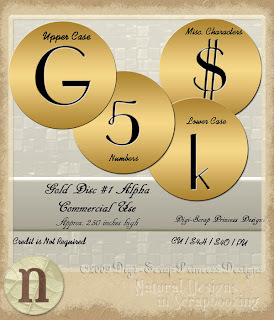 You've hit a goldmine today with not one, but FOUR (4) FREE 12"x12" QuickPages being released. 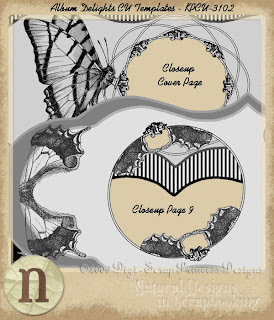 The first two were created by me using my HOPE Collection. 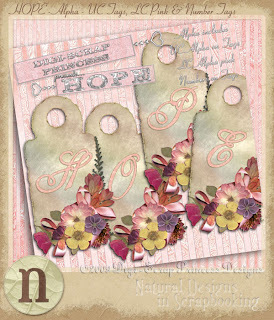 To create these 2 QPs I used the Hope kit, Hope Add-on-Pack & HOPE Alpha #2 that is included in the HOPE AOP. These are available for a limited time at NDISB. 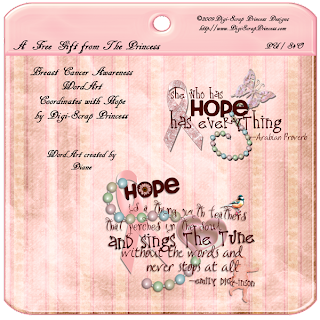 Someone asked me recently if the HOPE Collection was only for scrapping breast cancer awareness pages. 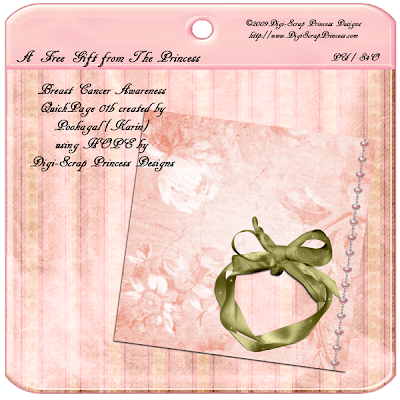 Although it was created to honor those battling breast cancer awareness, the Hope Collection would be perfect for any feminine or special occasion page. 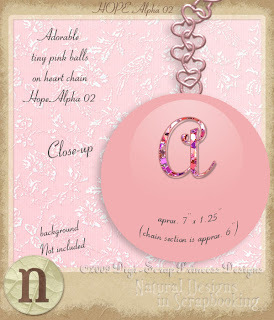 There are several heart-shaped embellishments, so you might even want to scrap a page with your favorite Valentine. 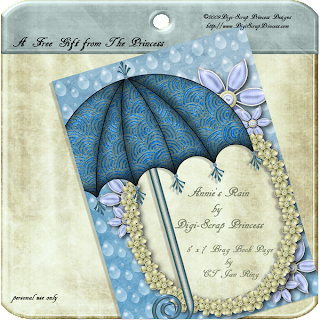 Don't forget one of the joys of working with digital scrapbook kits versus traditional scrapbook kits, is that you can recolor and/or blend the items for pages that are as unique as you. You are limited only by your imagination! 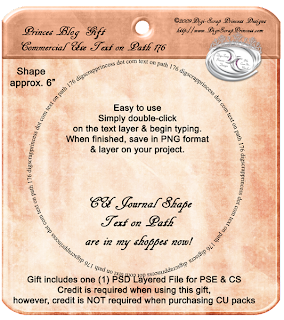 Next, my Creative Team members Diane & Pookagal have each created a QP to share with you. Enjoy the FREE GIFTS & please take a moment to leave a little love for my Creative Team. Links will remain active for a limited time, so hurry to download your gifts. 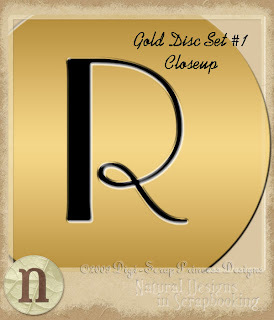 Click the previews to download WordArt created by Diane & Pookagal. Please take a moment to thank them for their generosity. 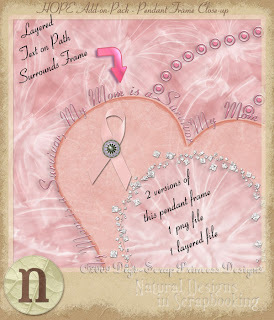 Members of the digi-scrap community are creating breast cancer awareness WordArt to share on my blog. The WA coincide with the release of my latest collection - HOPE. 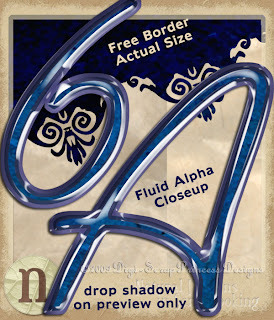 Below are previews of HOPE (includes HOPE Alpha #1) & HOPE Add-on-Pack (includes , HOPE Alpha ##2). 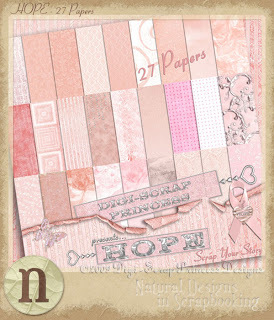 The HOPE Collection is available at NDISB & on sale for a limited time. 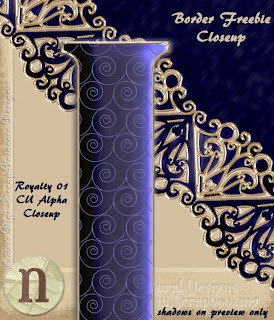 Refer to this thread to learn how you can receive the HOPE AOP & Alpha #2 FREE! 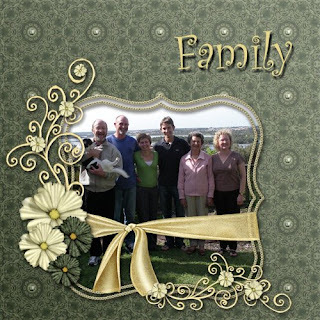 Today we have WordArt created by Diane. Click the preview to begin downloading. Check back Thursday for additional WordArt freebies & remember to say, "Thanks!" to Diane for sharing. 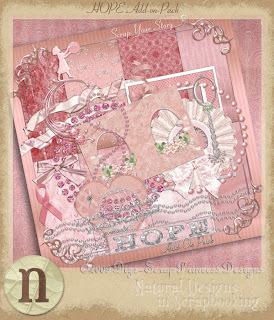 Presenting HOPE - a kit honoring the millions of courageous women & men who have battled breast cancer. The disease has touched all our lives, as we all know someone who has battled the disease. 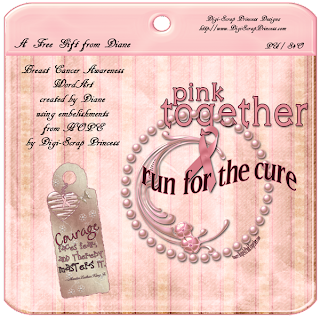 Courage, faith, friendship & hope for a cure help them endure breast cancer. 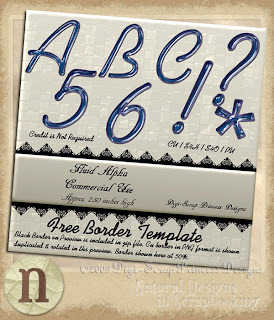 HOPE contains 27 12"x12" papers, over 100 embellishments & a gorgeous alpha that includes upper case alpha & numbers on tags, & a lower case alpha without tag. 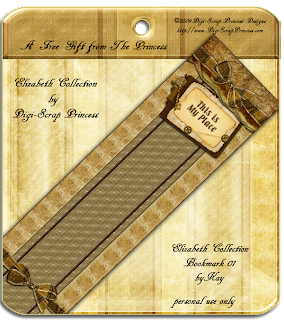 All items are created at 300 dpi, saved at high quality & the kit is S4O friendly. My Creative Team & I are creating WordArt freebies to give away on the Digi-Scrap Princess Blog beginning 19 October through 31 October 2009. Visit DigiScrapPrincess.com weekly to download your gifts. 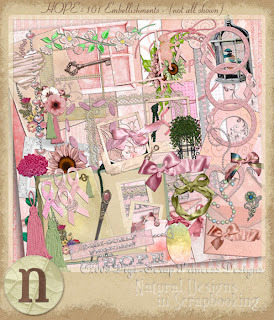 Think Pink & scrap the story of an amazing, courageous woman in your life. To all our friends who have battled breast cancer... we're praying & hoping for a cure! HOPE is on sale at NDISB October 14 - 18, 2009. Enjoy the Free Gift created for you by CT Michi using my Elizabeth Collection. 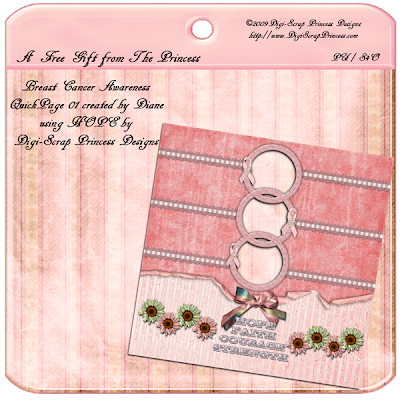 Remember to thank Michi for creating the 5"x7" brag book page to share with you! Elizabeth Collection Part I & Part II can be purchased at NDISB. 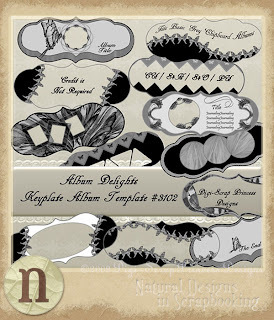 I have released several new products this month at NDISB. 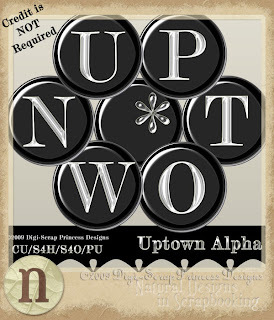 The Alpha CU sets are clean & ready to use "as is" or grunge them up, layer them with tags & make them unique. 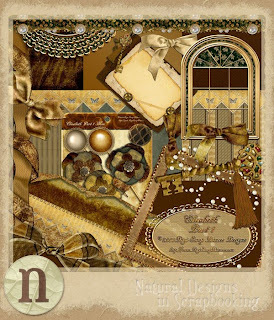 Michelle has created a lovely bracket album page using Elizabeth Collection by Digi-Scrap Princess Designs. 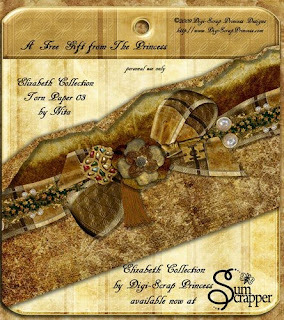 Click the Elizabeth Collection kit previews to purchase the kit. Click the Bracket Album Page preview to download the free gift. 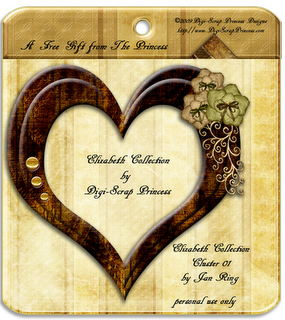 Creative Team Members Jan & Kay have created gifts for you using my Elizabeth Collection. 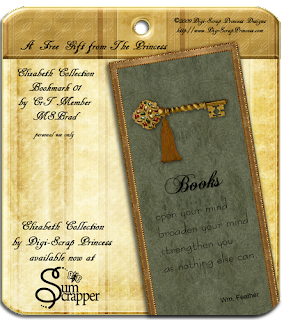 The Elizabeth Collection (Part I & Part II) can be purchased at NDISB. 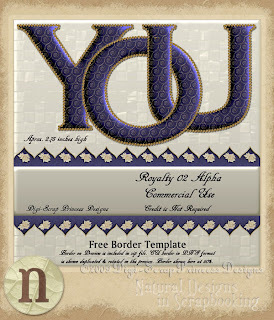 To download, click the individual free gift preview images. Links will remain active for approx. 14 days. 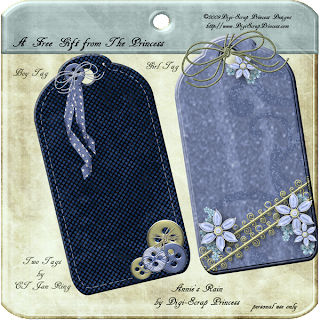 Click the tag set preview image to download the free gift. This link will remain active for approx. 14 days. I am thrilled to announce that I have been accepted to the NDISB Design Team! NDISB has always been one of my favorite sites & this is soooo exciting! 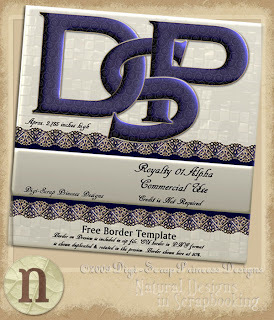 Visit the site & see what all the other designers have to offer. It's a brand new day! 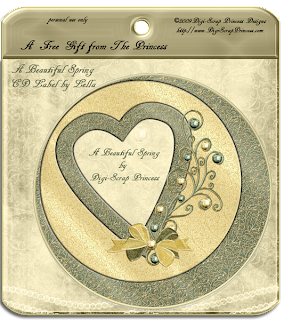 Enjoy the CD Label/Album Page created for you by my CT Jan Ring. 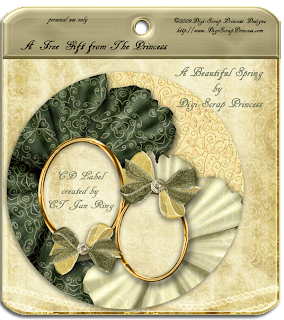 Jan used A Beautiful Spring II to create this gift for you. My CT & I appreciate your feedback, so please leave a little love (comment). This link is available for a limited time only, so hurry & download it while you can. 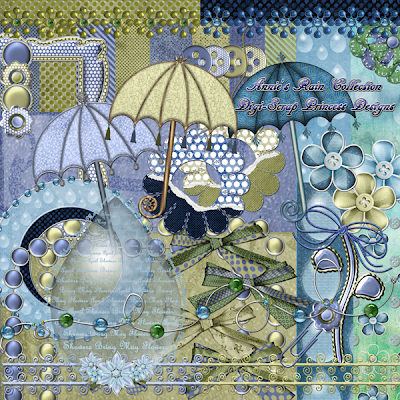 CT member Lella has created a lovely cluster using my latest kit Annie's Rain. Thanks for the gift Lella! 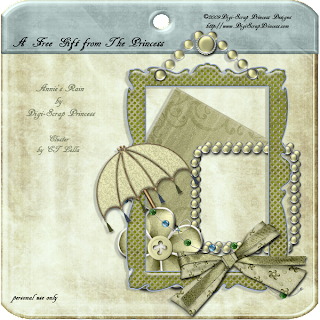 Annie's Rain is currently available at NDISB. Click Here to Download Annie's Rain Cluster #1Link will be active for a limited time, so hurry to download the gift now! We would love to hear you comments on the gift. 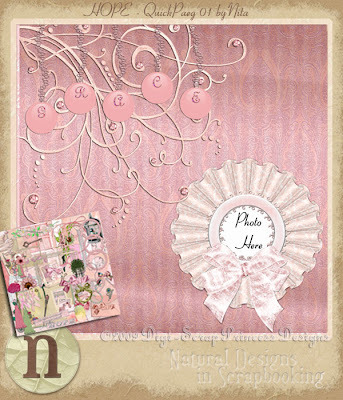 Today's freebie was created by Lella using my A Beautiful Spring Kit. We hope you enjoy the CD label. 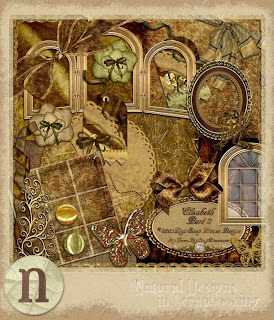 Use it as a label or a frame layered on our scrapbook page. Click Here to Download. Link will remain for a limited time, so hurry & download the gift while you can. A Beautiful Spring is available at NDISB.